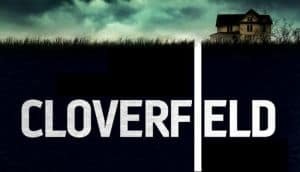 Overlord Confirmed to Be Cloverfield 4 | Nerd Much? We first wrote about Overlord in passing when discussing Quentin Tarantino’s potential take on a Star Trek film. Mark L. Smith would be writing Tarantino’s take, but before that, he had writting the World War II era sci-fi film Overlord. We knew Overlord was being produced by J.J. Abrams too, but we didn’t know what Abrams actually had planned for the movie. It turns out, Abrams upon signing on as a producer for Overlord, had plans to pull it into his Cloverfield umbrella. And thus, Overlord will also be Cloverfield 4. The film is said to essentially revolve around the Nazi’s experimenting with reanimating the dead. Thus, our American paratroopers find themselves in the midst of a zombie movie of sorts. Overlord is being directed by Julius Avery and stars Jovan Adepo and Wyatt Russell. Alongside them are Jacob Anderson, Dominic Applewhite, Pilou Asbaek, Iain de Caestecker, John Magaro, Mathilde Ollivier, and Bokeem Woodbine. The next two entries in the Cloverfield series continues the dramatic upswing in Cloverfield franchise titles. The original released in 2008. It took eight years for 10 Cloverfield Lane to hit theaters in 2016. But now both God Particle/Cloverfield Station and Overlord/Cloverfield 4 are slated for 2018. Hopefully the universe continues to be preeminent sci-fi.